11th 180SX Rocket Bunny kit ever made world wide. 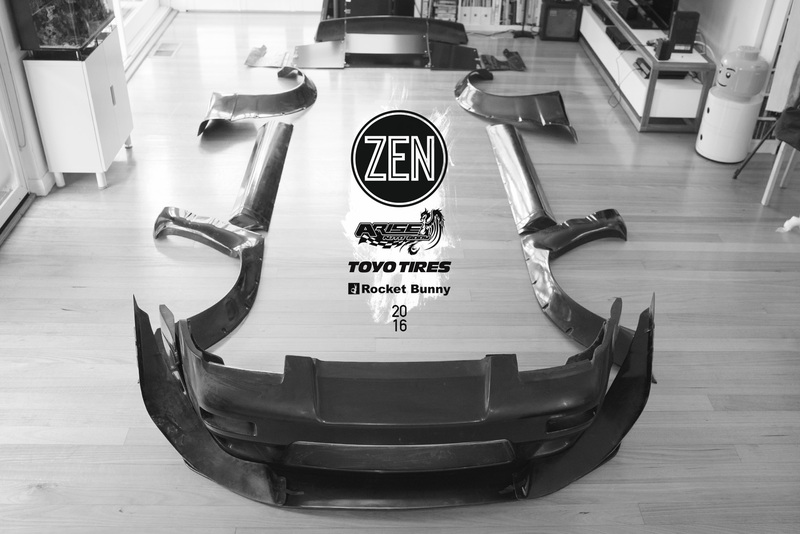 1st 180SX Rocket Bunny kit sold to Australia. Haha! We have a car ready! It's not my personal car, but Cordy ZEN's shop manager's boyfriend's car. Wild is the right word hey? I've seen photos of existing 180's out there with this kit, they're all pretty crazy looking! Didn't think we were going to get any further on this project this year, but we're stoked to announce that Arise Auto Body (who did an amazing job on the Need For Speed S15) are coming on board to respray the car once the kit has been fitted and Toyo Tyres are going to be supplying the rubber! Definitely keen to see it done. Have you chosen wheels yet? Or is that saved for a later date? Insane. I can't wait to see the progress with this, hurry up and get it on a car haha!